Welcome to the Triple DDD Tree Service website. We are a professional tree trimming and removal company proudly serving Southeastern Michigan since 1997. We have the knowledge and equipment to care for the trees of both residential and commercial customers. We provide professional services that range from basic trimming to complete tree removal (see services). 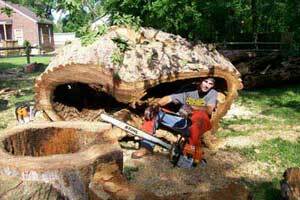 Our goal is to provide you with fast, reliable, quality tree service at an affordable price. Our "Best Service/Best Price" policy is what makes us so popular with our customers, we'll beat any professional estimate. We invite you to tour our Web site and learn more about us, the services we provide, and the various ways that we can be of service to you. Please feel free to contact us if you have any questions!